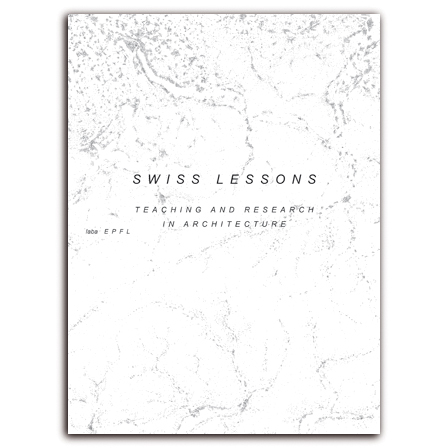 Swiss Lessons takes a look at Switzerland in 2048: what will the country look like in 35 years from an architectural, an urbanistic point of view. Extrapolating from figures of the last five years, a population of 15 million people is assumed. Even if growth in population is lower, demographic development will affect and transform the country’s inhabitable territory and increase pressure on existing urban and rural areas and infrastructure dramatically. Existing categories, e.g. city, suburb, farmland, or wilderness, will be put to question. Eight years after Switzerland: An Urban Portrait, a vast and influential research project carried-out by ETH Studio Basel (part of ETH Zurich), laba’s students and teachers have been looking again at Switzerland’s present state and present an outlook on urban and spatial developments for the forthcoming 35 years. Besides of abstract analysis of the territorial constitution, the students have designed specific urban interventions that again test the results of that analysis. Research findings and student projects are presented in spectacular graphics and maps, striking images, and plans. has been working with Herzog & de Meuron 2007–12 and founded her own studio in 2012. She also has been a teaching assistant at laba since 2011.
is an architect and a Professor at Ecole Polytéchnique Fédérale de Lausanne's (EPFL) School of Architecture since 2005. He is head of EPFL's Basel-based satellite studio Laboratory Basel (laba). studied architecture at Harvard Graduate School of Design, and sustainable building at the Swiss Federal Institute of Technology, ETH Zurich. She worked for various international firms, including Wiel Arets Architects, 2006–10 and has been head of research at laba from 2010–13. In 2008 she co-founded the design studio Atelier Areti. , born 1973, studied architecture at the University of Stuttgart and at Ecole Polythéchnique Fédérale de Lausanne EPFL. He has been working with Herzog & de Meuron 2005–09 before establishing his own studio in Switzerland in 2009. He has also been head of teaching at laba 2010–13.